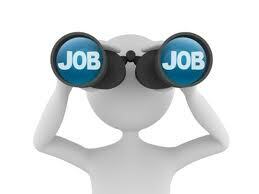 Find technical analyst career job description sample (ex. 25710), position duties, work roles and responsibilities example. For related employment contract sample click here. 1) Document support requests inquiries made to the it help desk. 2) Resolve support requests inquires in a timely fashion. 3) Provide support to end users in a courteous professional manner. 4) Escalate unresolved requests inquires following established guidelines. 5) Develop new reporting as necessary which will include writing source code sourcing appropriate data maintaining report usability for distribution. 6) Ensure automated reporting is current available. 7) Review - continually - current reporting to make sure data integrity. 8) Update reports to reflect trends focus. 9) Provide ad-hoc reporting analysis as needed. 10) Keep accurate and up-to-date records of duties performed methodologies used to perform job functions. 11) Maintain a good working relationship with fellow employees. 13) Maintain working knowledge of current future technologies. * Other work duties may be described based on the business/industry needs from - technical analyst - position.